EmcArts is delighted to present Somewhere Becoming Rain: Adaptive Change is the Future of the Arts, a monograph reflecting on EmcArts’ experience of designing and implementing national Innovation Labs for the Arts over the last 10 years. With each round, the Labs increasingly focused, not only on generating, designing and testing a specific innovative response to a major persistent challenge facing each organization, but also on strengthening the underlying muscles each organization needed to flex whenever it found the need to diverge from its “business-as-usual” activities and sustain a new approach – the adaptive capacity that few organizations have in the past been encouraged to develop. We hope the paper will stir up dialogue across the arts field, nationally and internationally, about the nature of change that’s now going on. We hope it will contribute to understanding how to create organizational conditions whose “enabling constraints” support the generation of unique, locally-formed innovations in response to persistent complex challenges. 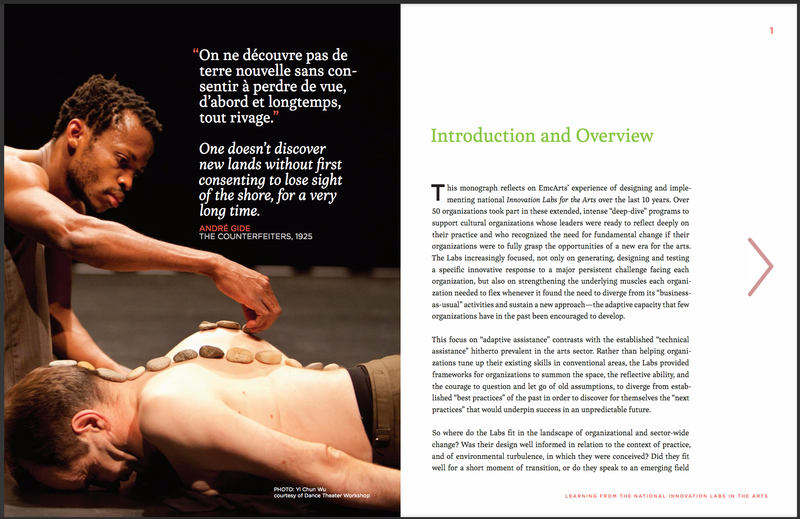 We hope it will spur adaptive leaders in the field – board members, artistic directors, executives, and both public and private funders, who know the future will look very different from the past, even of 20 years ago – to be bold in their efforts to advance the public value of their grantees and the arts sector as a whole. 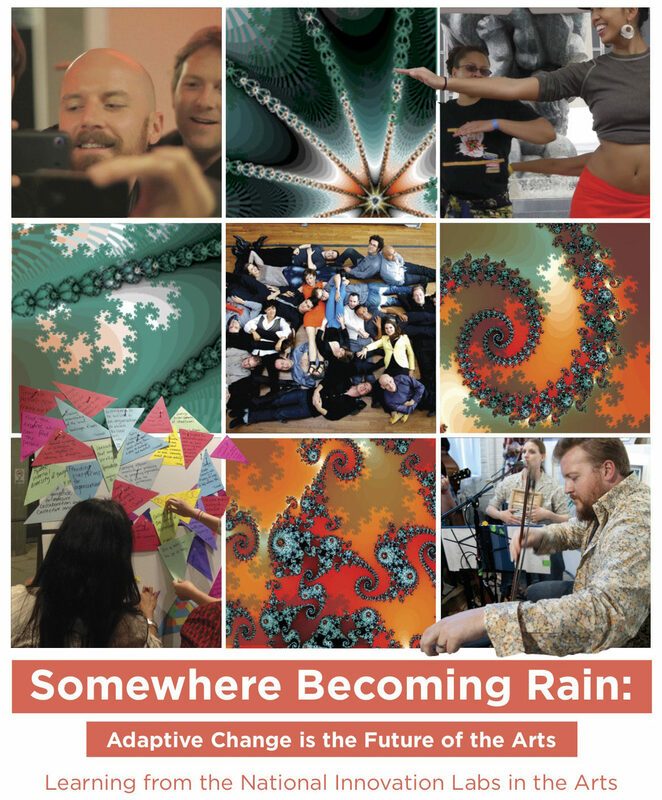 Read "Somewhere Becoming Rain: Adaptive Change is the Future of the Arts"
The paper includes contributions from Richard Evans (EmcArts President), Steven Tepper (Dean of the Herberger Institute of Art and Design at Arizona State University), Jamie Gamble (Principal of Imprint Consulting), Kiley Arroyo, and various Innovation Labs in the Arts participants. The Labs highlight the importance of adaptive leadership skills – for example, encouraging internal collaboration, expecting and modeling open communication, and building shared ownership for innovative initiatives among staff and board members. Adaptive leaders help prioritize and reward innovation. The Labs foster a way of thinking that encourages risk-taking."